In accordance with the Regulation of Minister of Law and Human Rights of the Republic of Indonesia No. 3 year 2015 on 16 March 2015 and No. 12 Year 2015 on 03 June 2015 (amendments on Regulation of Minister of Law and Human Right of the Republic of Indonesia Number: M.HH-01.GR.01.06, on January 12, 2010) citizen from 68 countries and 1 region are eligible for obtaining Visa on Arrival (VOA). 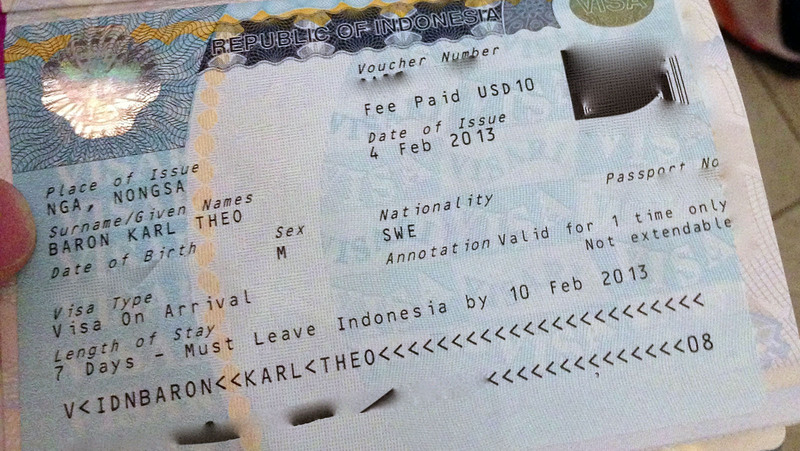 This visa can be obtained directly on landing at the certain airports and seaport in Indonesia regardless of the purpose of visits (Business, Tourist, Social). 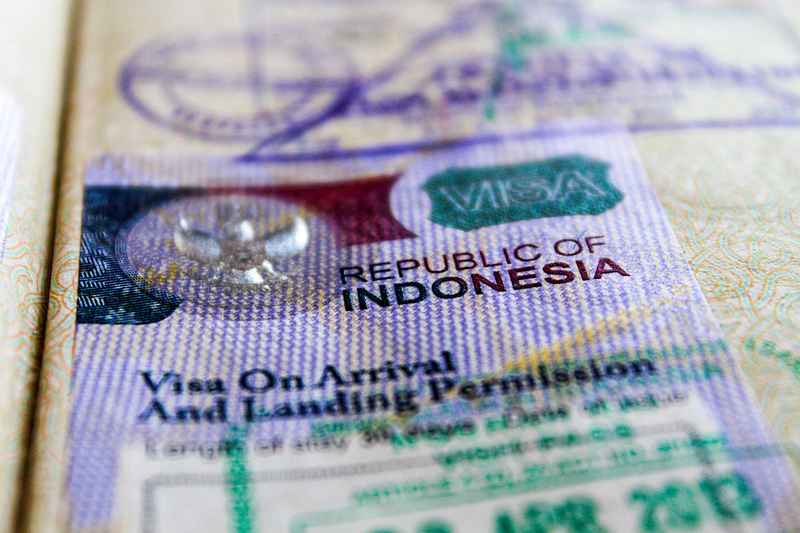 The Visa on Arrival is not valid for working in Indonesia. Therefore, it can not be converted to other immigration permits. The maximum stay permitted with visa on arrival is 30 days and can be extended for another 30 days with an approval from Director General of Immigration of Republic of Indonesia. Passport must be valid for at least 6 (six) months at the date of entry. Fee of US$ 15 and 35 for 7 days and 30 days Visa on Arrival respectively (in accordance with Government Regulation No. 45 of 2014 (Peraturan Pemerintah No. 45 Tahun 2014).